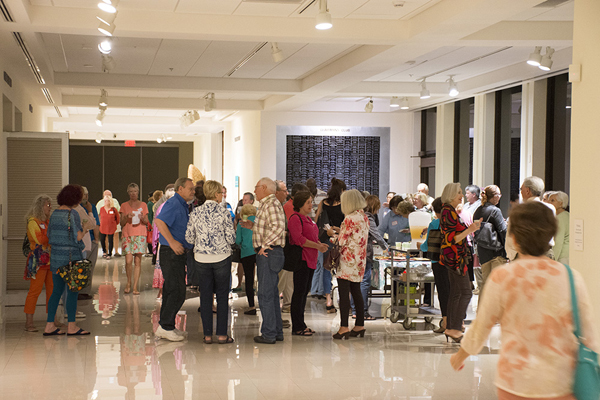 When you join the Vero Beach Art Club it opens up opportunities to participant in "Members' Only" events, connects you with members ranging from Art Appreciators to Lifelong Renowned Artists and connects you to the community in a way that only our members can understand. Our "small town" feel is enhanced by our member volunteers who bring the importance of art and beautification to our greater Vero Beach area. Our Members' Only Events offer you a place to exhibit or sell your artwork at some of the most prestigious events in Florida. We hold many Shows and Sales throughout the year in addition to several exhibition opportunities. In addition to our Members' Only events, we have Shows and Sales with judging, awards and cash prizes. Our members are comprised of a very diverse group of artists with a range of mediums from Acrylic to Woodworking. They range from Art Appreciators or Collectors to Well Known Artists who have work displayed all over the world. We have many exhibits, events, workshops and other opportunities to meet and get to know our artists. Our members have volunteered countless hours to make our greater Vero Beach area one of the most beautiful and art infused areas on the Treasure Coast. Our murals, events and connection to the students in Indian River completes the circle of giving back to the community what is most important - teaching the appreciation of ART. Joining the Vero Beach Art Club is easy. Simply print and mail in a paper application, or fill out our online application and submit your payment (pay online, mail a check or stop by the office). Our membership fees are very reasonable and your year starts day one from your payment (your renewal will be one year from the date you join). Lifetime Membership is also available as a one time fee and never expires.